In the ancient Chinese land of Ao-lai, on the Mountain of Flowers and Fruit was a magic rock. This rock gave birth to an egg which hatched into a stone monkey. So begins one of the great classic Chinese works of literature, Journey to the West, written around 1550 by Wu Cheng-en. This book chronicles the adventures of the Monkey King, one of the most fascinating fictional characters ever created. Monkey King is a colorful combination of Schrader's recognizably arousing orchestral maneuvers with an immediate melodic appeal, gentle harmonic textures, and electronic echoes of traditional Chinese instruments. While individual elements sound strangely familiar, the resulting entity is without direct reference, a style which is as timeless as it is futuristic and which revels an ancient mythology with the tools of today. Without a single doubt, this piece is the most accessible in Schrader's oeuvre. Also on this CD is Schrader's Wu Xing - Cycle of Destruction, which explores the five ancient Chinese elements, Metal, Wood, Earth, Water, and Fire in transcendent ways. The CD Opens with the 'bonus' track "Wu Xing - Cycle of Destruction" which through seemingly simple, yet highly complex electronic sequencing, drones and textures, captures the elements of metal, wood, earth, water and fire. It presents the elements in a transcendental way by exploring them conceptually and spiritually as well as recounting their physicality. The 20 minute piece's water section is a single data loop that is continually manipulated and the it culminates with a fire of immense energy. "Monkey King" is an electronic soundtrack to one of China's classic works of literature, "Journey to the West". Utilising vast amounts of hard and soft ware Schrader closely recreates the textures, tones, harmonies and resonance of traditional Chinese instrumentation. Each section is hailed into being with the powerful crash of electronically replicated gong and manufactured plucked, bowed and hammered strings, bells, cymbals and chimes and blown bamboo are omnipresent. Conjuring readily reflections of an underworldly, spiritual landscape set within Chinese mythology it is difficult to remain cerebrally rooted in the contemporary age in which the suite was composed. "Monkey King" harmoniously coexists between modern technology and ancient mythology. 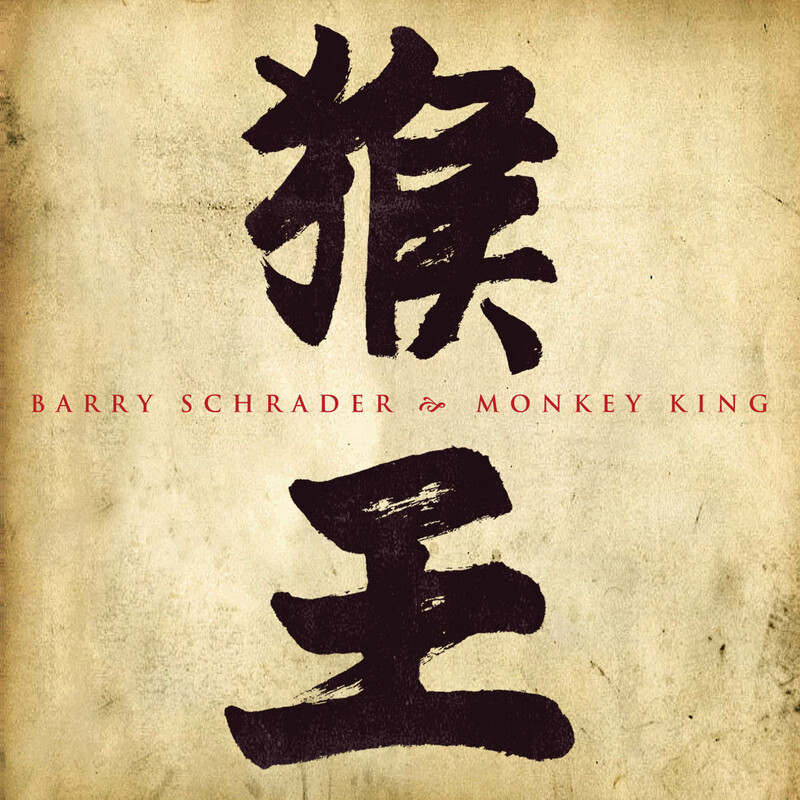 Mr. Schrader's newer electroacoustic release, Monkey King (2008), offers the listener a sonic exploration into ancient Chinese tradition and lore. ...This sonic journey through birth, growth, trial, and metamorphosis is expertly crafted by Mr. Schrader, who skillfully intertwines timbral, rhythmic, and harmonic material to create an enveloping, engaging soundworld. Layered rhythmic passages give way to dense sweeping textures as sounds expand and contract, developing, returning, and renewing. A slow tolling gong near the piece's end signifies the convergence of the deities, and a shimmering texture signifiesMonkey King's enlightenment. Mr. Schrader's masterful illustration of Monkey King's story is satisfying musically, regardless of the listener's familiarity with the work's programmatic structure.